Recruiting and developing strong people is the most critical and challenging job for most leaders. Equally difficult is the task of knowing when to let those employees go who don’t seem to be fully embracing the opportunity you’re providing for them. It’s not that hard when it’s a case of an obvious fireable offense like employee theft. But, it’s not as cut and dry when it’s more about you just not being fired up about someone you’re cutting a paycheck to every other week. Join Michael and Jim as they explore what many consider the worst part about being the boss. 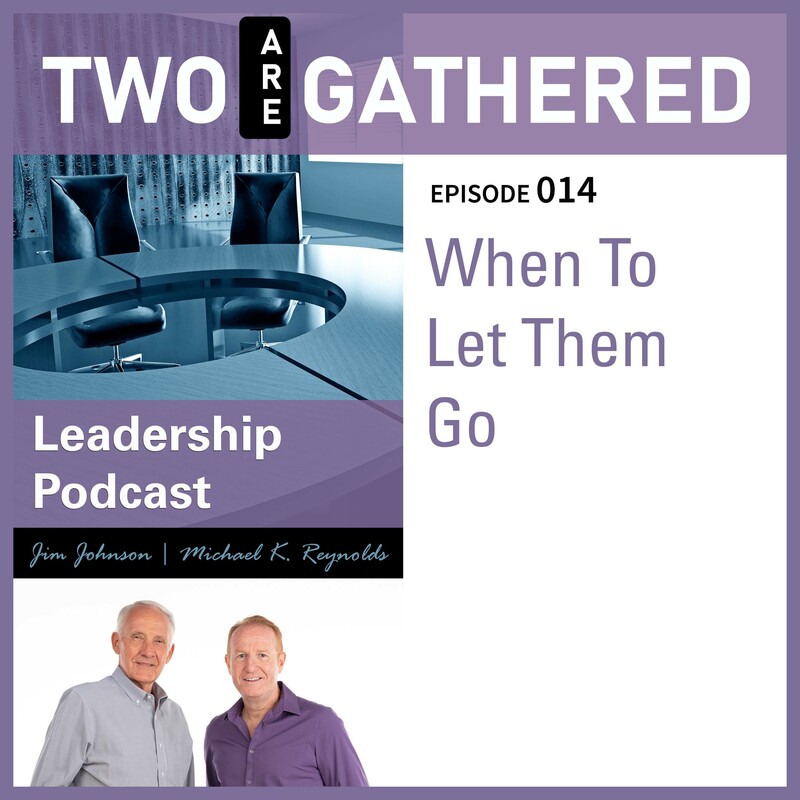 Listen in as the two hosts share key insights into knowing “when to let them go”. You'll bless your friends and you'll make our day. Help us grow the Two Are Gathered Leadership community. And...thank you for taking the time to read it.